Grown up coloring Moments in Time, A Serenity Coloring Journal perfect to relief some stress. Use the Moments in Time, Serenity Coloring Journal, to jot down your thoughts, ideas, dreams, doodles or just color the beautiful art. 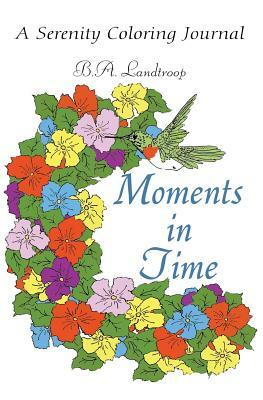 Moments in Time is 5.25 inches by 8 inches making it easy to take with you.